Did you know that all the mother capybaras in a band share in the responsibilities for raising the young? Any mother capy will nurse any baby capy from her band. Sarah Marley, who owns these cuties, say her two mother share responsibilities just like wild mother capys do. In fact, Marley doesn’t even know which babies belong to which mother! 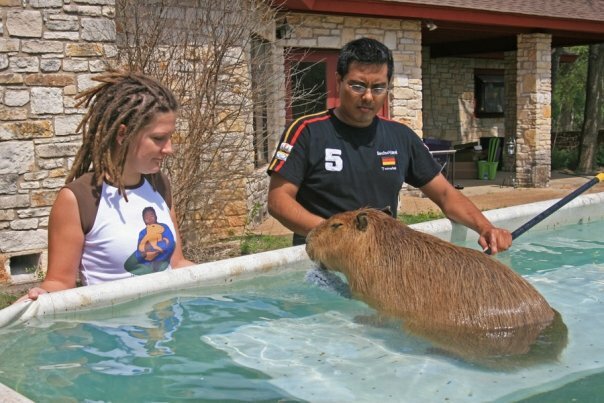 It might take a village to raise a child, but it takes a band to raise a capy. The babies are all for sale and are located in Kansas. If you are interested, you can contact Marley at s-e.marley@ceva.com. 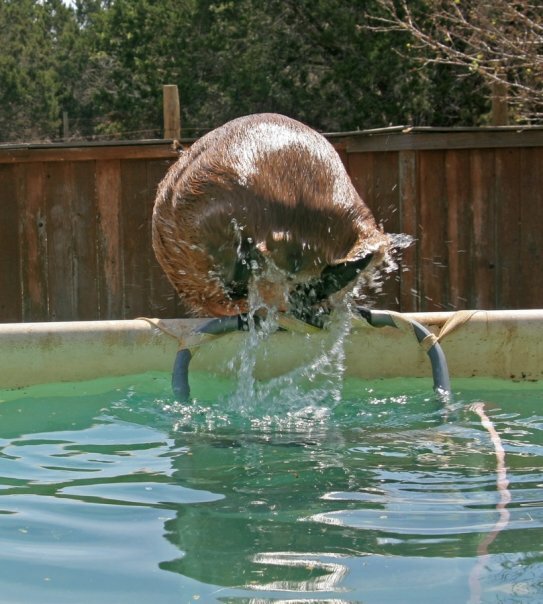 Please be sure you understand what you are getting into before considering a pet capybara. 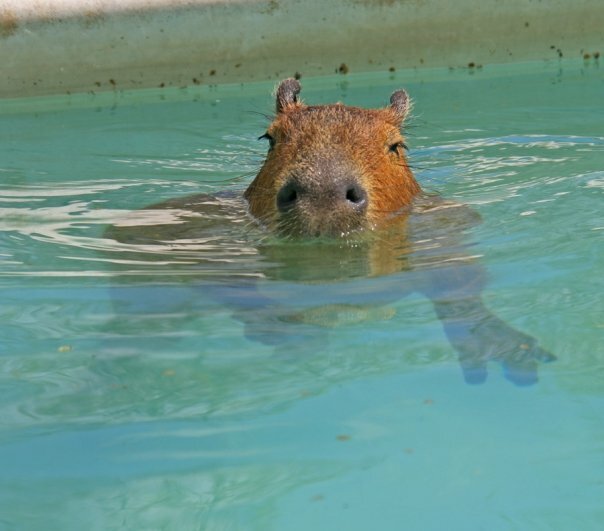 Capybaras are not the right pet for most people. We require a lot of room, safe, clean, pesticide free grass to graze on, somewhere to swim and proper housing in both warm and cold weather. 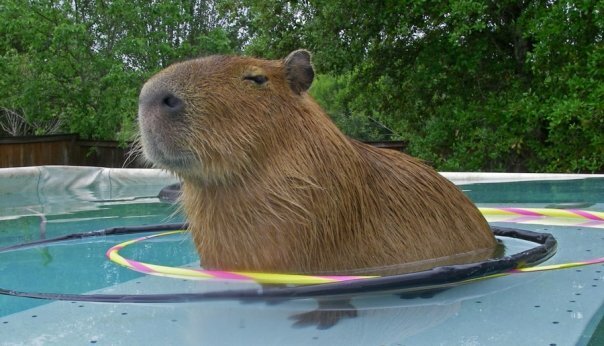 A pet capybara like me takes hours and hours of interaction and a tremendous amount of patience. We are also not inexpensive to feed. 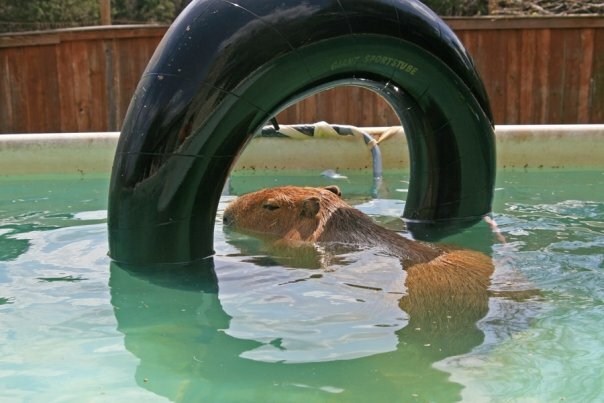 Vet care for capybaras can be very expensive, although the ROUS Foundation may be able to help some with that. Also please remember that we are large animals–I weigh about 125 lbs–and we have large, razor-sharp teeth. Although we are usually gentle, we can be aggressive and those teeth can inflict a nasty bite. Don’t be fooled by our cuteness, we are a lot of work. 15 comments to Oh Baby Capys, Why So Cute? 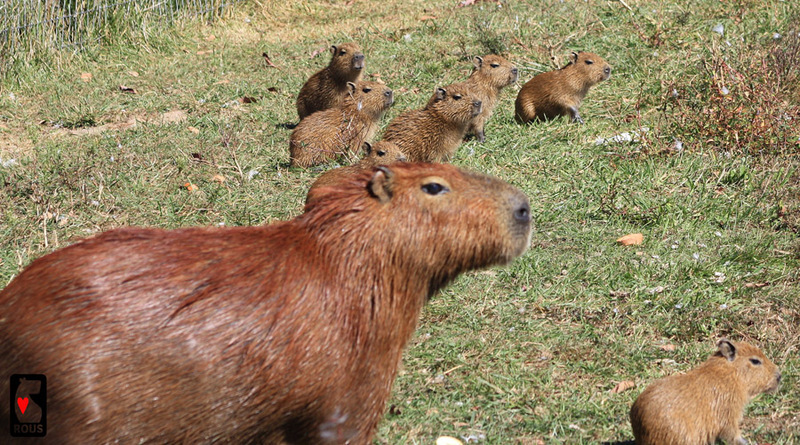 Wheeeeeek…baby capys!! Never saw so many at once! Adorables. 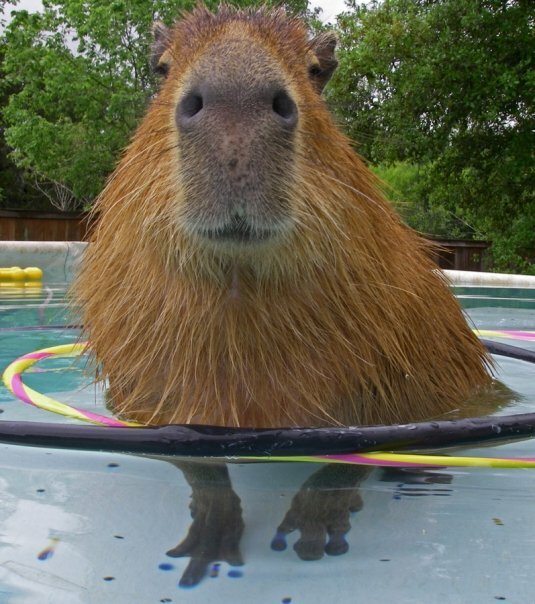 I wish I lived somewhere where I could give a capy a good life! The cuteness of babies!!! 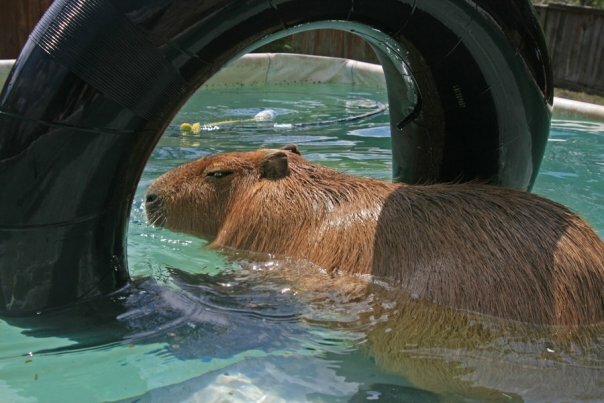 I would love to have the space and energy for a capybara. Definitely not condo pets! aaawww–so cute. And thanks for the advice–you’re right! Capys are not the right pet for everyone. I enjoy reading about Gari’s and his co-pets exploits!–just reading. not HAVING too many pets! A little band of capys, especially with so many babies would be a joy to see. 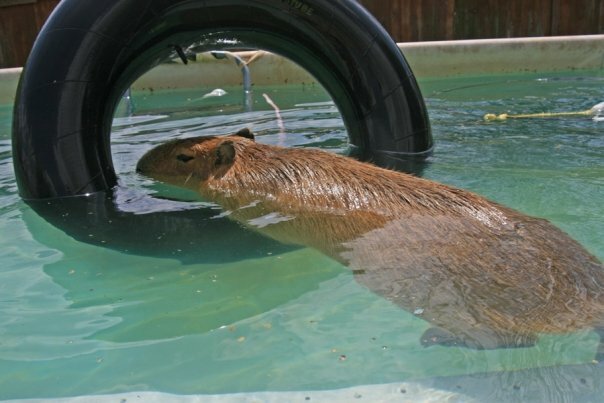 I’m glad that you continually warn people about the unique responsibilities of a pet capy. Too many people get a pet without considering all that’s involved & then the pet suffers. Awww I love your blog. Capys are absolutely beautiful. I haven’t got space for one of my own, but i love coming on to see them and their friends in all they’re awesomeness! big hugs to them all!! So cute!! Glad to see the information about the needs of these babies!! So many people don’t take the time to research the needs of their pets before they get them!! OMG how much are they? Can I get a pregnant one?!!!!!!!!!! Seriously? I’m thinking this is a joke. If not, I’d love to see a photo. You can use the “contact” button to send it to me.